Is Fraud Crippling Your Bottom-Line? It’s estimated that fraud costs retailers up to $17 BILLION annually in the U.S. The growing popularity of online purchases will only increase this cost over time. 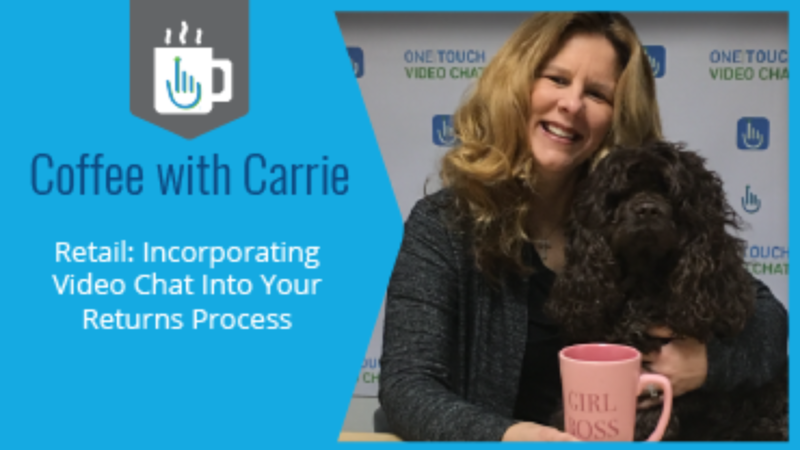 In this coffee with Carrie, we discuss how innovative executives can prevent fraud with video chat returns while improving the customer’s experience. The cause of many returns and faulty products is user error. Customers find something wrong and blame you. Installation manuals and online training videos can only go so far, and fail to answer specific questions. Email isn’t much help either. Multiple barriers keep you from solving their problem. Most importantly, video chat helps eliminate fraudulent claims. Check serial numbers, examine product parts, and check packaging all in real-time. And with our technology, you can clearly read up to a 6 point font. Don’t believe us? Schedule a demo and we’ll show you! Want to see more applications of our video chat technology? See how video support for returns is impacting retail and giving companies a competitive advantage in the digital space.